Today in this post, I am going to talk about software testing using different methods. There are mainly three types of software testing methods. Black Box testing is the method of software testing in which the tester has no knowledge about the design or structure of the item being tested. The term “Behavioral testing” is also known as Black Box testing. A tester is involved directly to the system user’s interface by providing inputs and outputs. Black Box testing method can be practical used to each and every level of software testings such as acceptance, unit and integration testing. Black box testing is used in every part of the software development and testing life cycle. We need to cover the main part of the test cases so that most of the bugs will not get expected by Black Box testing. There is no need for the tester to have detailed knowledge of application or programming language. The tester can be non-technical. It is very efficient when testing the large application. There is no need to have functional knowledge of system application to the tester. Testing is performed from a user’s trust and not of the designer’s. Test cases can be designed as soon as the functional specifications are complete. It is simple to use as its interest is only on valid and invalid inputs and providing that correct outputs are obtained. It is difficult to find problematic inputs. Error related issues can not be found. The defect can not find with location. There is a high probability to a programmer for performed repeating testing. All the functionality and specific requirements of the applications are not tested. Tester is not an aware of actual process of application. 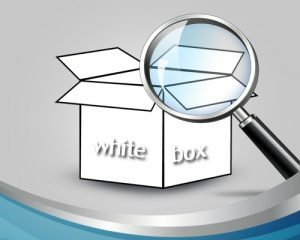 White Box testing is the method of software testing in which internal structure is being known to the tester. The term “Glass box, Clear Box, Transparent Box and Structural testing” are also called White Box testing. White Box testing is used by the developer as well as the tester, it helps them which line of code is executed and what is the output of them. It helps in removing the extra line of code, which takes the hidden effect. It becomes very easy to find out which type of input/data can help in testing the application effectively. A number of test cases depend on code complexity. Efficient to identify error and problems. Easy to guess a type of input parameters. Skill testers are needed which increase the cost, so it’s expensive. Doesn’t establish if statement, decision, and path are insufficient. Might not found missing feature. Gray Box testing is the method of software testing and it is a combination of “White Box” and “Black Box” Testing in which tester must have complete knowledge of both testing techniques. In this technique, testers have limited knowledge of internal structure but not in-depth. Gray Box testing name aroused because the application for a tester is like a glass/transparent box in which tester can review the code & partially see it. Tester is ready with the knowledge of both black boxes as well as white box testing methods. The testing will be performed from the end user point of view instead of the programmer. Due to limited information available, testers make effective test scenarios around communication protocols. The tester cannot perform algorithm testing. The tester has limited knowledge of the internal working of the application. It is a partially time-consuming type of testing.